Buy Your Fruit Trees Here! And a great variety of Pears, Plumbs, and Cherries, which have been selected with care and great expense from the most popular and approved Nurseries in the Union, embracing nearly all the standing varieties in the eastern and southern states, the fruit of which it is confidently believed, cannot fail to suit the most delicate and refined palates. The subscriber assumes with confidence that he has the greatest variety and most splendid assortment to be found in northern Illinois. The trees are from 1 to 3 years of age, and ranging from 3 to 7 feet in height, and well proportioned. 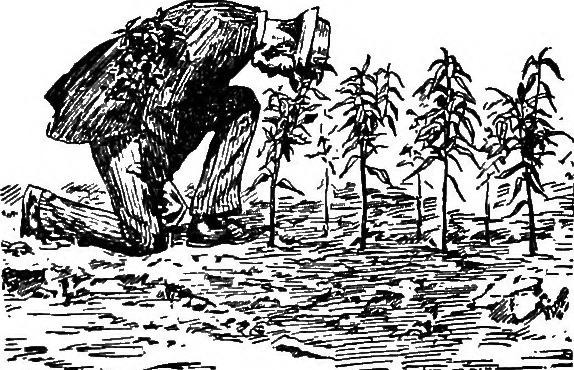 It is believed that the lamentable remissness on the part of farmers, every where observable in planting fruit trees, is mostly attributable to the almost total failure, in most cases, where trees have been transplanted from a distance; and the fibrous roots on which the tree relies for its nutriment have become dead from too long exposure to dry air or severe frosts after taking them up, either of which is fatal to its growth. But these embarrassments no longer exist. The farmer can now be supplied in his own vicinity with the number and variety he wishes, grown in the same soil and climate in which they are to be transplanted. If the trees are taken up in the spring, it should be done soon after the frost is out of the ground — at all events, before the leaf begins to put forth. If taken up in the fall, they should be buried until spring.